We come through in this moment of now to offer you some insights into the current energetics that are subsuming Gaia as we speak…... Dearest hearts, hold tight, for all of creation are on the verge of receiving an extremely significant upgrade in your DNA patterning……. this refers to you, to the flowers trees and mother father God's beloved animal kingdom…... This ascension trajectory is on, and at this conjecture there is no turning back. This moment can be likened to the second the bungee jumper jumps off the cliff, at that moment there is no turning back neither is there the possibility to backtrack. So beloveds we invite you to say yes to everything that is presenting as a divine mirror in your reality at the moment. For many of you who have been firmly committed to their personal ascension trajectory please know that we are in the gateway whereby there are set to be huge monumental shifts in your own personal timelines up until and throughout this eclipse season and the long prophesied alignment with the 9/9/9 portal. Many star seeds have come through a phase of extremely powerful alchemy and integration with regards to their own shadow aspects in the last few weeks... This recent alchemical marriage of that which you could term the darkness and light within you has brought with it profound instructions to your DNA patterning to oscillate at a higher frequency pitch. This transformation in your own DNA patterning is precisely what catapults you into brand-new timelines. These timelines that we are referring to are part of your soul's highest destiny and as such are infused with synchronicity, blessings, fortuitous meetings and alignments. Beloveds please understand that if there is any part of your being that perceives itself as separate from the whole or if there is any part of your being that is in conflict internally or externally this very subtly and often blatantly affects the timeline that you are experiencing, as these unresolved issues create significant blocks in the flow of chi throughout your whole energetic and physical system. These aspects actually construct physical experiences that will often be perceived as extremely challenging by you,in order to get your attention, that you may recognise the internal aspect that is being played out, and rise to meet that aspect in your pure presence and with the potent alchemy of unconditional love. Beloveds these dynamics have been playing out for many Starseeds lightworkers and illumined twin flames in the last few weeks and this has facilitated a monumental personal and collective purging which is exactly what gaia has required to ensure she stabilises in her alignment with the 5D new earth Ascension trajectory. We applaud you dearest lightworkers, the period you have just come through has been extremely challenging for many and this is very much related to the 9/9/9 portal that is rapidly approaching. You may or may not be aware but a crop circle appeared on 27 August 2016 in Wiltshire UK which depicts this great transformation, This crop circle which originates from Hinduism symbolises the progression through the ages. The Hindu religion uses the term yuga to refer to these ages and this recent crop circle is very much referring to the transition from the dark and challenging age of Kali yuga to the Golden age of aquarius. This recent crop circle points to the fact that the 9/9/9 portal is very much connected to this transition and it is no coincidence that this glyph appeared on 27 August 2+7 = 9. The circle points to the fact that we are about to experience another huge potent upgrade as gaia’s evolutionary wheels turn once again, aligning her ever more succinctly to the fifth dimensional golden age of equilibrium and truth. 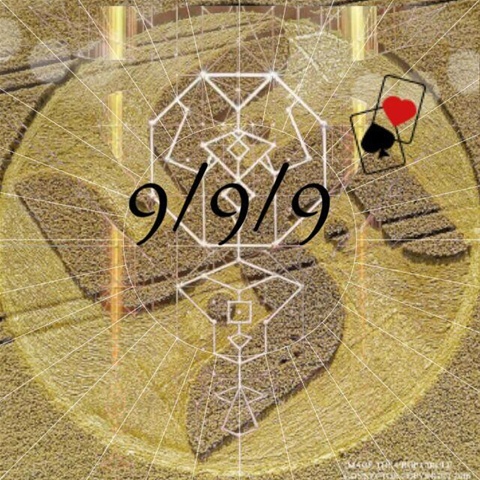 The 9/9/9 portal is extremely significant and on that day our beloved channel will be facilitating a gathering to harness and work with the 9/9/9 energies. On this day and throughout the call we will be focusing on clearing out and putting to rest all that we have experienced in the past personally and collectively particularly to do with the unconscious patterns we have inherited (from our ancestral lineage and past lives) and picked up with regards to our intimate connections. We will be using our time together to work as a group consciousness to assist gaia and us all personally to fully and deeply lay the ghosts and Demons and challenges of the past to rest once and for all, and we will use the energies to initiate a brand-new cycle for us. One whereby we will align graciously with the living MagdalenE and yeshua divine union template that we may become conduits for this template to manifest on the earthly plane. We will also work together as a collective consciousness to support gaia’s transitioning from the age of Kali to the golden age. Throughout this transmission we will make contact with the Akashic record keepers and converse with them in a manner that is extremely potent and activating for all who are involved, and we will put forth our intentions and dreams into the master grid that we co create,and speak the vision of the new earth that we hold and carry as blueprints in our higher heart centres. We shall also be using the group collective energy to enhance our own personal manifestations on that day. Your presence is deeply called to come forward to partake in the sacred ritual, this sacred gathering. The time of that Lonewolf is no more. The golden age is the age of conscious groups and conscious community. individually we are strong together our power is exponentially magnified….. It is my deepest honour to serve the collective twin flame timeline..
Greetings of the most high….. We come forth now in this moment, overjoyed at being the conduits for this most auspicious message. Beloveds by now you will have heard much about the imminent 9/9/9 alignment that is occurring for you whom we speak to today upon the earthly plane. There are so many wondrous insights that we wish to share with you regarding this highly talked about alignment….so let us begin….. nine is the number of completion it is the end of a cycle whereby that which has been harnessed and experienced completes a significant orbit, and the energy is returned back to 0 again, a refreshened new zero point, whereby a brand new cycle can begin again. One of the most significant gifts this gateway offers is the opportunity to offer up, to All that is/ Great Spirit/ Mother Father God all that no longer serves you or is incongruent with your ascension trajectory. Beloveds we encourage you to use this pivotal activation date to gather within your consciousness all that you wish to release. Gather all the memories, all the timelines, all the souls you have yet to offer your full forgiveness to, into a central point and when you are ready we invite you to place these memories and timelines inside a black box and ask that the violet flame once and for all transmute these energetics and return them back to source energy. This is a highly significant moment to do this beloveds and there will be many souls on this day who will be partaking in this ritual which will add a great potency to your own intentions. Beloveds this 9/9/9 alignment brings with it great great gifts for illumined twin flames. Many in the twin flame community have been in long periods of physical separation from their divine consorts in this last nine year cycle, and this has all been preordained and predecided by you and your twin flame in your pre-birth state. The reason for this earthly separation has been to offer your systems a full reset or reboot you could say. Many Blu-ray twin flames have incarnated on the front line of bloodline dysfunctionality in order to be the pure vessels to purge and ultimately transmute these ancestral patterns. This has brought with it a rather deepened and entrenched experience of profound levels of woundedness that has required much care and attention and wisdom to be transformed. We have always reminded you in all our sacred writing transmissions that you are never ever a victim of circumstances, and that you and your twin flame made a decision before you came here, that it would be better to be in physical separation whilst engaging in the vast levels of purging that your ancestral lineage has brought about. Dear ones this cycle is now complete. If you could only see what we see in regards to what lies before you and as ever in your eternal now moment your heart would soar, and you would find yourself on cloud nine. for this preordained time of the earthly separation for many twin flames is now over and this is the main message we wish to bring to you today. Dear ones we would like to remind you that our beloved channel is offering a sacred 9/9/9 transmission to bring together a collective of enlightened twin flames to assist each other in this final purging. It is most auspicious to be gathering in high frequency groups at this time as this offers a profound potency to all intentions that are sent forth into the zero point field. We will also be using our time together to assist Gaia as she fully transitions from the age of Kali to the prophesied golden age. This is happening beloveds and your presence is required to be the pure conduits to assist gaia to fully stabilise and anchor in fifth dimensional consciousness the new earth paradigm. We will also be working with the Akashic record keepers speaking our intentions into the new and fresh electromagnetic grid……. speaking our intentions of Swift triumphant and successful twin flame reunions. Please join us on this call the more souls who gather the more potent the transmission will be. Many souls who come forward to partake in these transmissions report phenomenal breakthroughs in their timelines which very often precipitates seemingly miraculous contact from their twin flame. Exalted salutations of the most high in this wondrous moment of now, this present moment, whereby all that is and all that ever shall be coalesce in a celebration of sublime being. What an incredible ride these last two weeks have been beloveds, since the extremely powerful 999 activation portal and the recent lunar eclipse in Pisces…. We from the higher realms have witnessed an unprecedented amount of transformation in many many illumined twin flames timelines…...And to be the observers of this gives us more joy than you could ever possibly conceive…. We also note that the last two weeks have been extremely challenging for many of you, most reporting Ascension symptoms which hitherto have surpassed all previous symptoms in intensity. We know by now that many of you regard this in a positive and optimistic light which it truly is, as the intensity of the symptoms are indicative of your souls endeavour to clear you out to your core of all the old false programs that you have taken on whilst clothed in these earthly Garms. Beloveds we wish to offer you some clarity with regards to the recent timeline of deep purging that many of you have found yourself on in the last few weeks. Ones evolution could very much be likened to being on a spiral, as opposed to a circle…. Often times your higher self will deem it appropriate to revisit parts of yourself, particular at specific planetary configurations and alignments, in order to view how you are responding to the same issues that have notoriously been coming up for you on your soul's journey. We see that many of you have indeed been revisiting these core wounds that you have been carrying with you through out this incarnation, but we can see that whereas in the past there has been very much an identification with these core wounds i.e. “this is really and truly who I am” in this latest turn of gaia's evolutionary wheel we can see that many of you have fully activated the master codes within you, which is able to hold a proficient space for these aspects to be there whilst not identifying with them. Dear ones, we cannot stress enough how essential this is, for you to come into your full living self-mastery, as when these aspects are observed without being believed in, this catalyses and exponentially raises your vibrational frequency, aligning you with the activated living master that you have come here to be. We are observing this in many many of you whom we speak to today in this moment, and our heart is exploding in bliss to be able to report this back to you. Very often you will hear us speak about the illumined twin flame timeline trajectory, however beloveds it is most appropriate to always remember that these words are simply labels and oftentimes labels can create expectations which as we all know are the mother of all disappointment. We are reminding you of this as in truth labels are utterly irrelevant to your higher self, to the God consciousness being that you truly are, as in truth our beloved mother father God has no attachment whatsoever to the label twin flame. 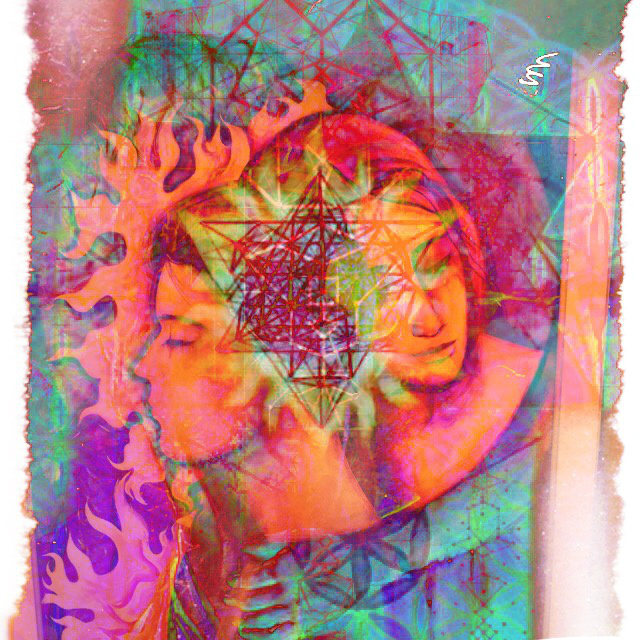 You see your beloved twin flame is your identical vibrational tonal match that was created with you at the moment of your souls conception, and whether you identify the one who stands before you as your twin flame or not is irrelevant to your higher self, as this label can never ever make it so, or make it not so….. indeed It is so, whether it is called out as being this or not. We hope this is clarifying for you and we encourage you to release any expectations around what this is, and what this is supposed to look like in your life, as regardless of what you name it or label it, it either is or it is not and therein lies a great liberation for many of you. We observe that many many souls have given up on the dream of manifesting a union with the highest consort of their soul, as many many of you believe that it is simply too good to be true. 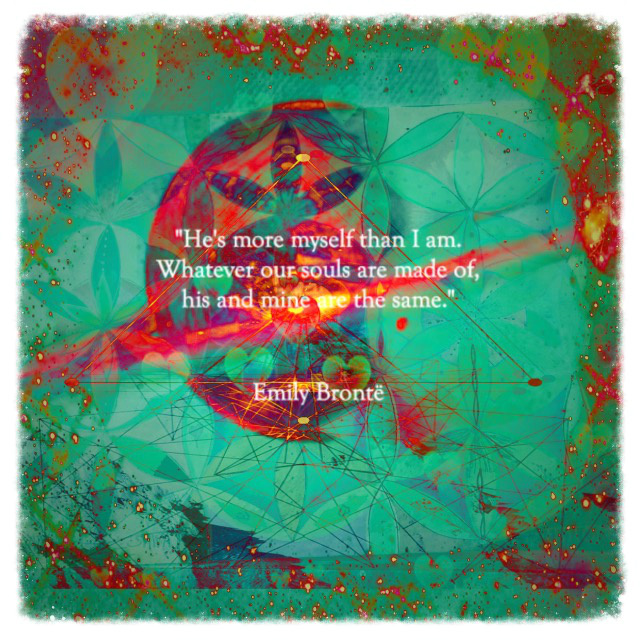 Beloveds with regards to the egos projections around what this union is and what it looks like, this indeed is true….. The twin flame…... you're perfected vibrational tonal match can never be known whilst one still carries the shackles of identification with one's ego consciousness. The twin flame union can only ever manifest when at least one of the divine pair is in a state of full self realisation and inextricably aligned with there I Am Presence in every moment. When the initiate arrives at this holiest of holiest conjectures then all seeking, all need, and all desire for the soul's highest consort is transcended and ultimately exposed as the ego grasping that it has always been, and it is this level of freedom and non attachment which is crucial to the successful anchoring of the bona fides twin flame unions upon the earthly plane at this great turning of the 26,000 year planetary cycle. There is always so much to share with you, and we would now like to take this opportunity to inform you that our beloved channel has been guided to facilitate a webinar transmission on 29th September 2016 at 6PM UK time to “Activate the Paradise Codes” that have been stored, and safely tucked away in the 144 000 twin flame pairs pituitary gland, pineal gland, and higher heart center. To take part in this life altering webinar transmission please contact cosmicgypsy33@Gmail.com to reserve your place. The cost of this transmission is £22 it is our deepest honour to serve you all and be the living conflicts of spiritual light and grace that has always been our highest destiny. Greetings of the most high in this most wondrous moment of now whereby the earth has just passed through that which is known as the equinox gateway and is now nestling safely and joining the mighty planet Jupiter in the constellation of Libra. Libra governs partnership, unions, and the part of the soul's journey where the emphasis is taking off the individual to encompass the other. This is a most auspicious time beloveds, as this transition that we speak of, heralds great and vast changes for many illumined twin flames. The time of the equinox symbolises transformation and change, as on the external level the seasons change, and the leaves begin to fall off the trees, but this is also symbolic of a great internal shift that is aligning for many of you whom we speak to tonight. We know these words are deeply resonant for many of you, as we are very much aware that in your quiet moments and in your meditations you have also very much been receiving these messages, that this time heralds great changes for those of you who are on the frontline of the current spiritual revolution. The 999 portal was a fundamental gateway in terms of a fully ushering in the morning of the golden age and now that is so, this is precipitating great changes in the lives of many star seeds, light workers and twin flames. Beloveds these changes are being activated by the full grounding of the Yeshua and Magdalene divine union template which has now anchored from the lower fourth dimension into the third dimension. Whilst this template has been hovering in the fourth dimension this has a very much kept alive the reality of your higher dimensional union with your beloved twin flame, and has somewhat kept many of your unions stabilized in the fourth dimensional planes, however beloveds, the time of the Equinox saw the complete anchoring of this template safely and triumphantly onto the third dimensional plane. The time is now beloveds and we can assure you that many many of you will be noticing fundamental shifts in your unions on the physical plane with your beloveds from this time onwards. The template was fully anchored by the 144000 twin flame pairs, in a master circle of light on the eve of the Equinox on 22 September, this was overseen by the highest masters of light, the ascended masters, the great Elohim, and of course Mother Father God. The template was anchored with great success on this date, and this will now activate fundamental transformation in the timelines of many twin flames. Beloveds the divine masculine counterparts have been being worked on by their higher selves predominantly in the dream time in the recent months, however this is all set to radically change as many of the masculine counterparts are now finally awakening from a very long slumber to their true spiritual identity and heritage. All of this is intricately connected to the turning on of the paradise codes personally and collectively within the illumined twin flame timeline trajectory, as if the paradise codes remain dormant and unactivated, it will make Gaia's inevitable destiny far more sluggish, and could be experienced as an uphill struggle. The paradise codes have always been stored in what have been termed humanities junk DNA which of course is a great lie and fallacy as mother father God would never design their children with junk DNA. These codes have laid dormant in the pineal gland, and were switched off at the time of Atlantis whereby many twin flames received a profound soul shock, from experiencing their first ever separation from their twin flame on that material plane. The shock of this separation was enough to fully turn off the paradise codes and thus assist the dark ones plans to control an asleep humanity, completely oblivious to their spiritual heritage and identity. However beloveds during this great turning of the great cycle it has been deemed necessary by the highest architects of light, the Akashic record keepers that these codes again be turned on. The paradise codes govern one's spiritual and almighty knowing of who one truly is on all levels of being. The paradise codes, once turned on release a secretion through the higher heart and the pineal gland which stimulates and activates the initiates a full remembrance of the blueprint they carry and were created with, to fully bring into the third dimension, the living reality of paradise. Paradise is the utopian ideal that we all know is Gaias inevitable destiny. The reality of paradise is set forth to infiltrate all of earth's societal institutions from schools, to religions, to media, to politics, actively deprogramming and reprogramming these societal institutions to discard the old Limited functioning and modalities, and come fully into alignment with our creator's master plan for these institutions, which is for them to nurture and serve humanity, and be aligned with humanity's greatest levels of wellness and well-being. 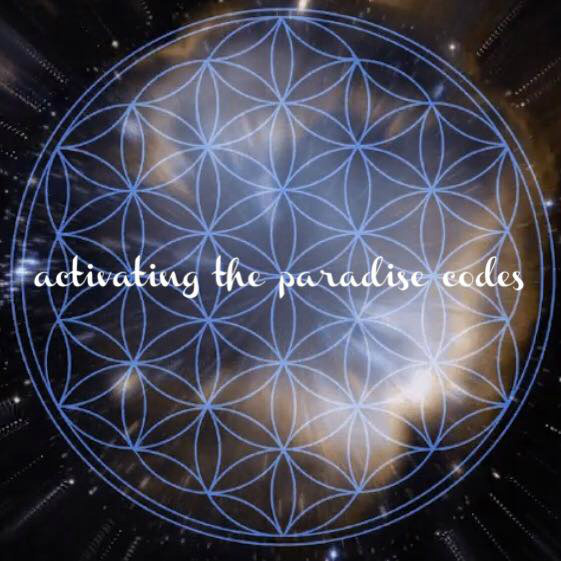 This is a very exciting time that we are living in, but we must act as a collective consciousness to turn these codes back on for us personally and for the collective consciousness, and this is why our beloved channel has been guided to facilitate her next webinar transmission on activating the paradise codes. This is crucial work that we will be bringing forth for ourselves personally and for Gaia and all the generations to come, as this is a free will universe, so requires us to step up and call forth these codes to be turned back on. It is imperative that this master circle happen and if you are feeling called to join and participate in this gathering of planetary elders please send an email to cosmicgypsy33@Gmail.com to reserve your place. We hope you grasp the importance and significance of this sacred work, and please know all who do sign up to be part of this transmission have already decided to do so previous to incarnation, we are all simply fulfilling a deep promise we made to our creator to be the ushers in of these new yet ancient codes. Our last transmissions have been extremely powerful as we are working in an enlightened group setting which exponentially increases the potency of the work that we do. Many report very accelerated purging symptoms after the call and we must warn you of this before you sign up, it would be our deepest honour to welcome you into this sacred circle.